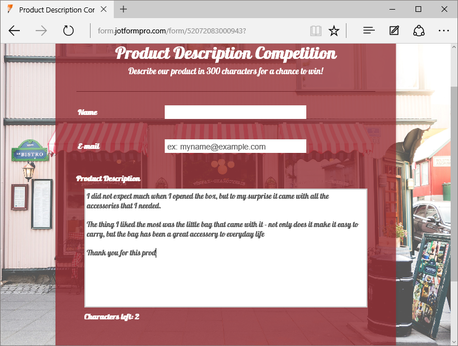 This is the perfect text area field for counting and limiting the number of characters to be entered by the user. 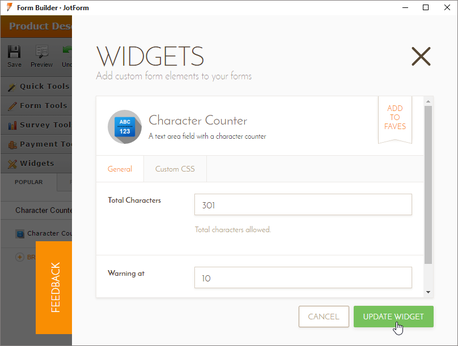 The Character Counter widget allows you to set an upper limit which will count down as the user types in their response. You can also configure when the user will be warned that they are about to run out. 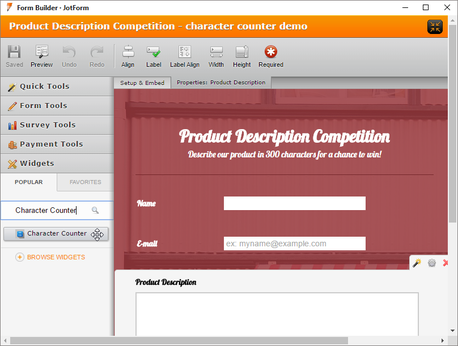 Its very easy to configure, and you can re-size it using the form builder toolbox.